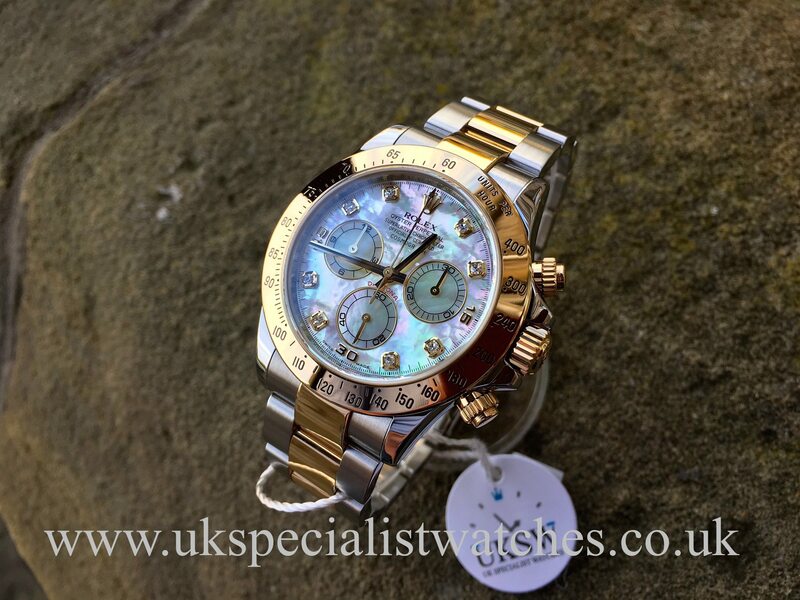 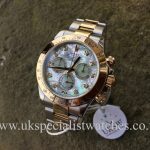 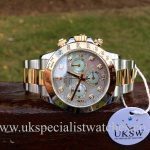 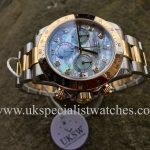 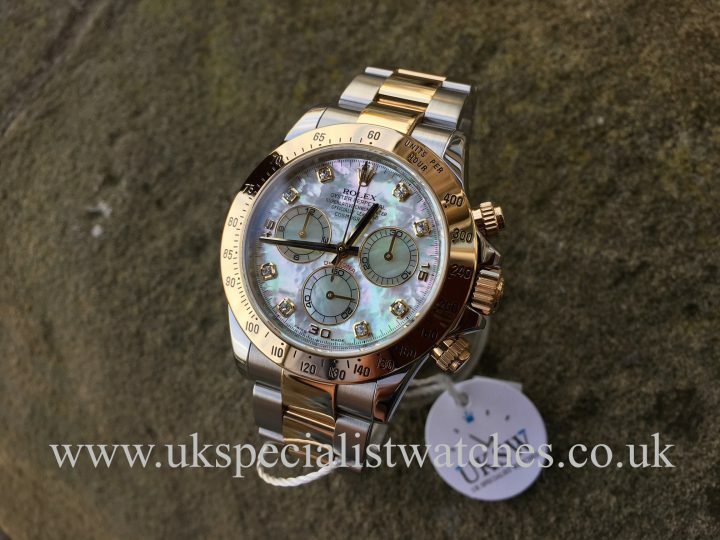 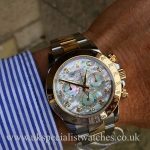 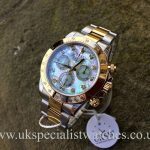 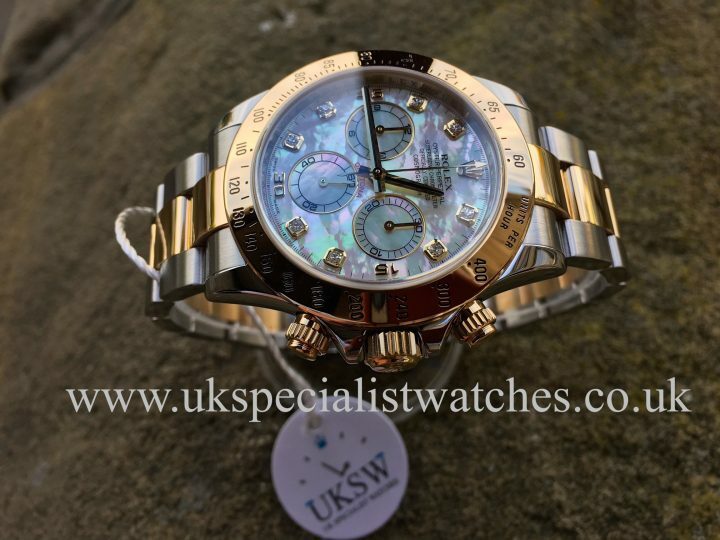 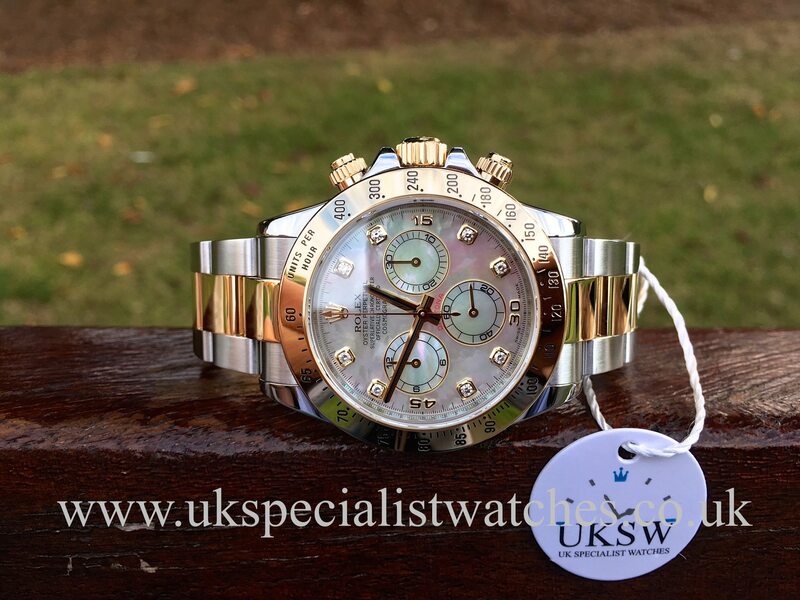 Rolex Cosmograph Daytona 116523 with a 40mm stainless steel case and solid 18ct yellow gold bezel, crown and chronograph pushers. 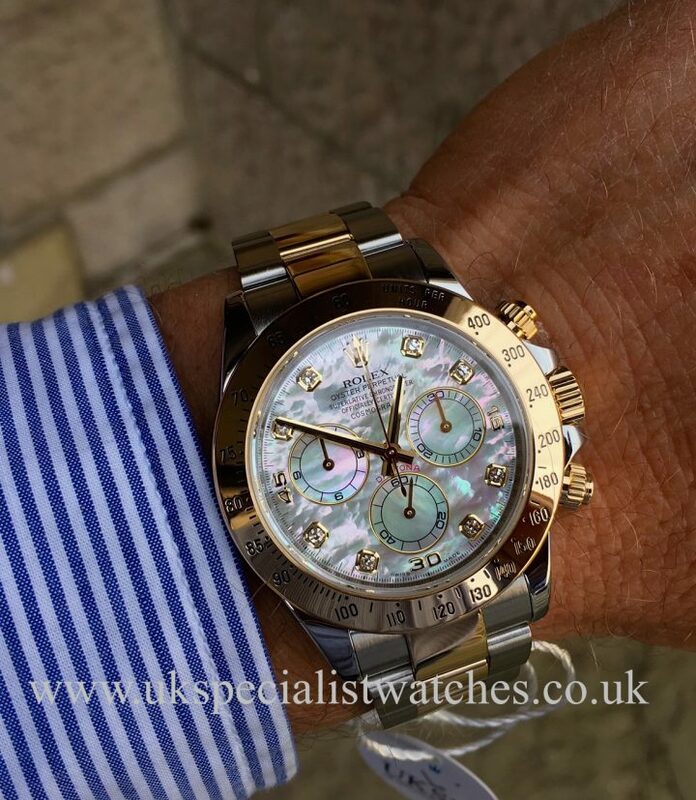 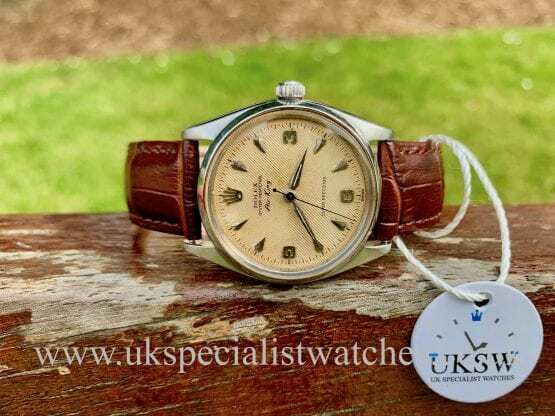 Stunning factory white mother of pearl diamond dial . 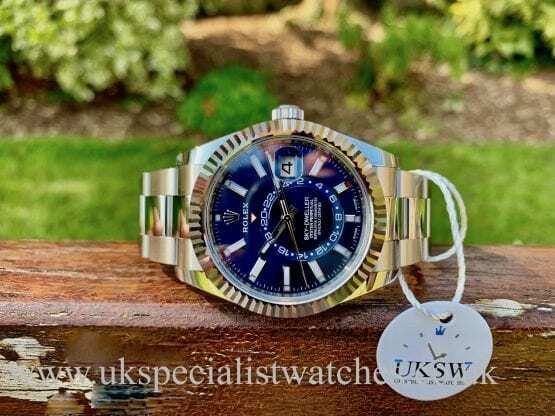 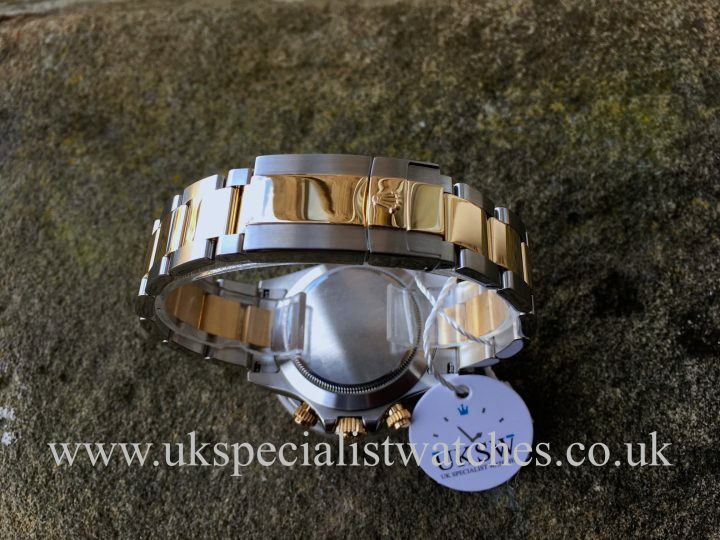 Fitted to the solid link stainless steel and 18ct yellow gold Oyster bracelet with the bi-metal double folding deployment clasp with the rapid adjustment extension link. 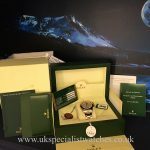 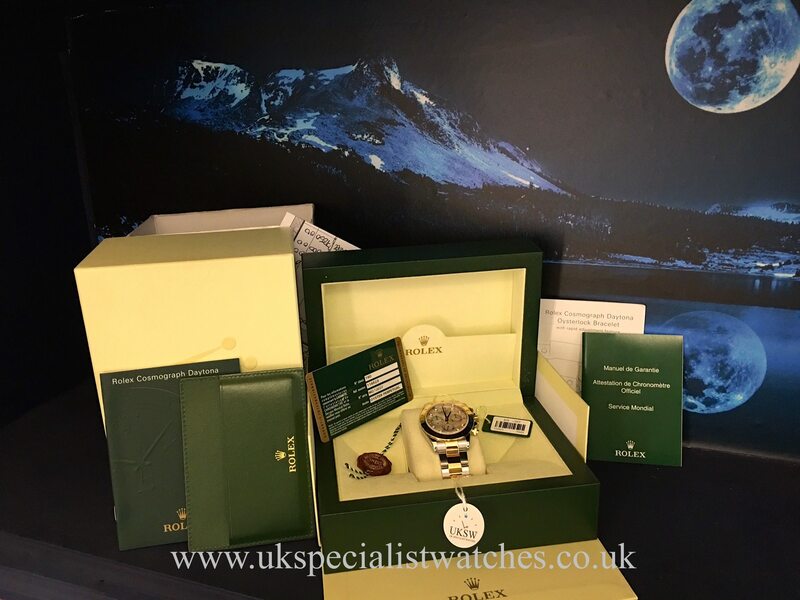 Comes totally complete with both boxes, new style stamped warranty card, both swing tags, green leather wallet and Daytona booklets. 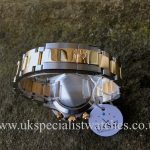 UK supplied new in February 2008.